Canadian Aziz ‘Com’ Mirza who lives in Burj Khalifa, drives supercars and variously describes himself as ‘serial entrepreneur’, mentor, influencer and philanthropist, has been accused of defrauding investors worldwide in a string of get-rich-quick schemes largely targeting Muslims. Over the past few days, nearly 50 victims from the US, UK, Canada and the UAE have contacted Gulf News, detailing how they were duped into investing into disguised Ponzi schemes, dodgy real estate projects and a cryptocurrency that is now worthless. 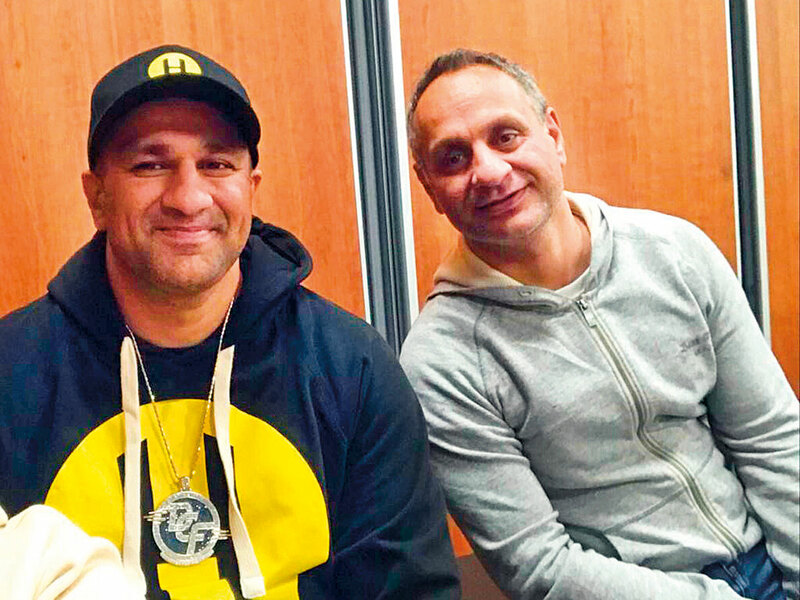 The majority of the victims belong to a UK-based online community platform called the Muslim Entrepreneur Network (MEN) which the flamboyant Com and his brother Rafaqat “Rocky Mirza allegedly latched on to prey on wealthy investors. At that time MEN operated from a mosque in Barking, a suburban town in East London. “Com deluded us into believing that he was an immensely successful businessman in Dubai. We were dazzled by his upholstered lifestyle and thought he could be a value addition to the network which was set up in 2015 to encourage entrepreneurship in the community,” MEN co-founder Harun Rashid, 39, who was in Dubai recently, said in an interview with Gulf News. “After joining MEN ‘venture capitalist’, Com introduced us to his “far more successful millionaire” elder brother, Rocky. He presented Rocky us a “mathematical genius” and the “Steve Jobs of the Muslim world,” recalled Rashid, who quit MEN in October 2018. Once on board, Rocky used the platform to float an investment scheme called the Leverage Programme (LP) which guaranteed ‘financial freedom’ within a year, said Rashid. Members were encouraged to join the programme by forking out a minimum of £5,000 (Dh24,000) each. Enticed by promises of attractive returns, some 300 MEN members signed up for the programme in early 2017. The new recruits paid anywhere between £15,00 and £25,000. Among them was Indian expat Umme Rayman who lives in Sharjah’s Al Majaz neighbourhood. “We parted with £25,000. It was our life-savings. Now it’s all gone down the drain” said Rayman. Around £4 million was raised under Leverage Programme between January 2017 and January 2019. One of the ventures under the Leverage Programme included an app called Empty Trip which was pitched to members as an opportunity to revolutionise the taxi industry. Stakeholders were assured that the app was in the final stages of discussion with UK’s Department for International Trade (DIT). However, a DIT letter seen by Gulf News shows the department has no record of any meeting with the Mirza brothers. The current director of Empty Trip is Rocky Mirza’s nephew Azim Nawaz Shah. Of late, several Leverage members including Sharjah’s Umme Rayman have reached out to Action Fraud, the UK’s national reporting centre for fraud and cybercrime. The case has now been passed over to the Metropolitan Police in London. The Mirza brothers have also been reported to the Royal Canadian Mounted Police and Dubai Police. As the probe progresses, more skeletons have tumbled out. It has now emerged that aside from the Leverage Programme, scores more have lost money in two other shady schemes fronted by Com Mirza — International Success Group (ISG) and a cryptocurrency called Habibi Coin, once billed as the “bitcoin of the Middle East”. One such victim, Briton Kalib Hussain, who invested £50,000 in ISG, was in Dubai last week to pursue the case with local authorities. “ISG was offered as an educational subscription website where Com would teach us how to make the most of our money. But somewhere down the line it morphed into an investment programme called ISG Capital Pool which required members to pool in their funds and get guaranteed 10 per cent returns within 12 months from a real-estate project in Dubai,” Hussain told this newspaper. “I have been chasing Com for refunds for the past 18 months but he refuses to respond to my phone calls and emails,” he added. New Yorker Tariq Syed who invested $100,000 in ISG said: “Com claimed that he was a real estate mogul and owned a construction company in Dubai which would build and sell real estate ventures. Not only did he guarantee 10 per cent returns within 12 months, he also went on to state that he would cover us and pay us out of his own pocket should anything go wrong. We believed him,” recalled Syed. Emails sent to ISG investors show that Com indeed made these commitments. “I am at my wit’s end. I don’t know what to do,” said Dubai resident Riyas Nizar who lost $5,000. No less harrowing has been the ordeal of several other ISG investors It’s a long list: ZK (£50,000), ID ($15,000) and IM ($10,500) from the UK; J.N. ($100,000) and Mujtaba Jiwani ($8,100) from Canada; D.S. ($100,000) M.R. ($10,000) from the US; and Gulammohiyuddin Maskati ($50,000) from the UAE. “I invested $50,000 in ISG and $25,000 in Habibi. I don’t know if I could ever recover my losses,” said Mastaki. Giannis who lives in Greece said he and his brother Thanasis jointly invested $17,000 in Habibi shortly after meeting Com at his Burj Khalifa apartment in Dubai. American M.K. ($150,000), Canadian Abe Arabi ($10,000), Briton Mohammad Vorajee ($2,000) are among several other Habibi investors who have shared similar stories with Gulf News. “The currency is worthless. Com claims that Habibi Coin is undergoing acquisition and our coins will be liquidated soon but he has nothing to show for it,” said, another investor A.A. who wants to be referred by just his initials. 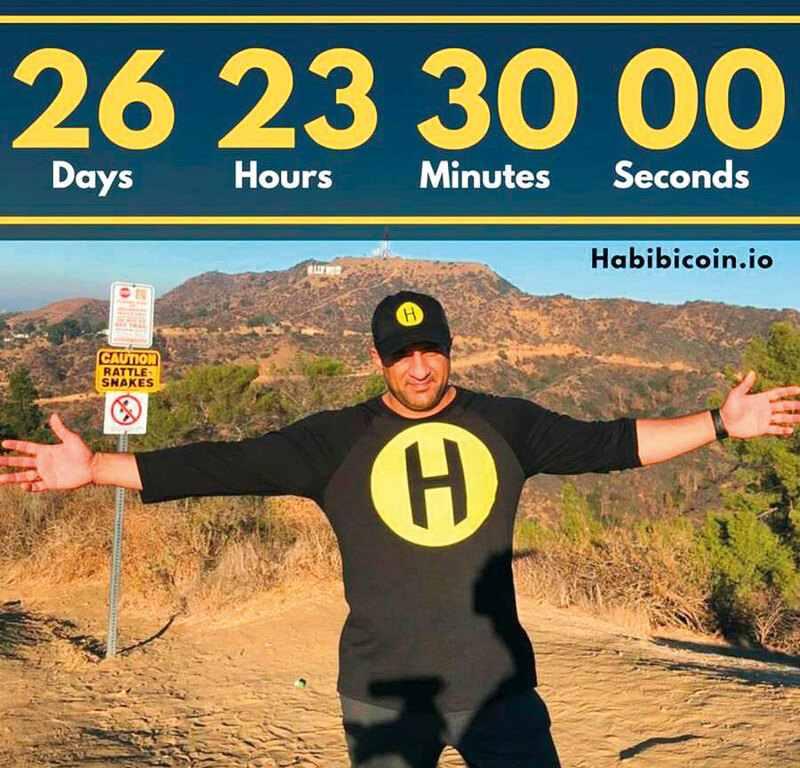 American Kevin Green who was prompted to invest in Habibi Coin said he’s been waiting endlessly for their token to be listed on an exchange so that he could sell the coins. “Their token was supposed to be listed on an exchange on July 2018 but close to that date they indicated via email that they would be extending their ICO (Initial Coin Offering) until September 2018. It came and went and they were still not listed. We were told that the company was in the process of merging with some other company that was working on acquiring the entire Habibicoin project with all of its investors and then once the merger was completed, we could cash our tokens. That said, we were not told who would be acquiring Habibicoin. During the time, emails subscribed to Habibi newsletter were sent an email promoting another ICO by an organisation called Kidbizo, which, after investigation, I realised, was run by Rocky Mirza,” said Green in an email to Gulf News. On his part, Com owed up for the ‘problems’ in Habibi and ISG but denied having anything to do with the Leverage Programme. “I can’t be held accountable for what my elder brother [Rocky] allegedly did as I had quit the Muslim Entrepreneur Network (MEN) by that time,” he said during an interview at the Gulf News office. He claimed the money collected under ISG has gone towards the construction a villa in Dubai but refused to show us the place or share details of the ‘property’ saying it could sabotage the project. In response to the allegation that he was being unfair to ISG members by not telling them where their money is being invested, Com said: I can’t give any details of the project as it in the final stages of completion and I don’t want any hindrances. In a subsequent WhatsApp message to this journalist, Com claimed he is bound to a clause in an agreement with his local partner. He said according to the terms of the agreement the local partner can pull out of the deal if he doesn’t complete the construction, causing “disastrous damage to the community and the project”. He said, it was precisely for this reason he was taking measures to protect his relationship with the landowner. “We have to get the project completed without interruption. If personal vendettas damage our ability to complete [the project] we would suffer irreparable harm. It has already happened to us in a completely unrelated businesses where we had to suffer fallouts, be removed from companies we founded and lose millions in potential income. We can’t afford for this to happen to a project again, especially one with our community involved,” said the message. However, the reasoning has failed to cut ice with the investors. “What’s the secrecy about? For God’s sake, it’s a villa, not a nuclear facility,” said one of them. I can’t be held accountable for what my elder brother [Rocky] allegedly did as I had quit the Muslim Entrepreneur Network by that time. “I suspect the villa project doesn’t exist. I have a feeling he blew all our money to fuel his extravagant lifestyle,” alleged another investor. Similarly Habibi Coin investors are far from convinced by the explanation given to them in a 3,500-word email sent in March this year. In the email, investors have been assured that Habibi Coin is nearing acquisition by a big company. The name of the company has not been given. Parallel investigations made by Gulf News show that the company which is supposed to acquire Habibi is known as Mecoto and is fronted by Com himself. To gain some semblance of credibility, Mecoto put the names of a famous Emirati influencer and a US-based entrepreneur on its board of advisers. Alarmed by the bad publicity surrounding Com, both have since washed their hands off it. 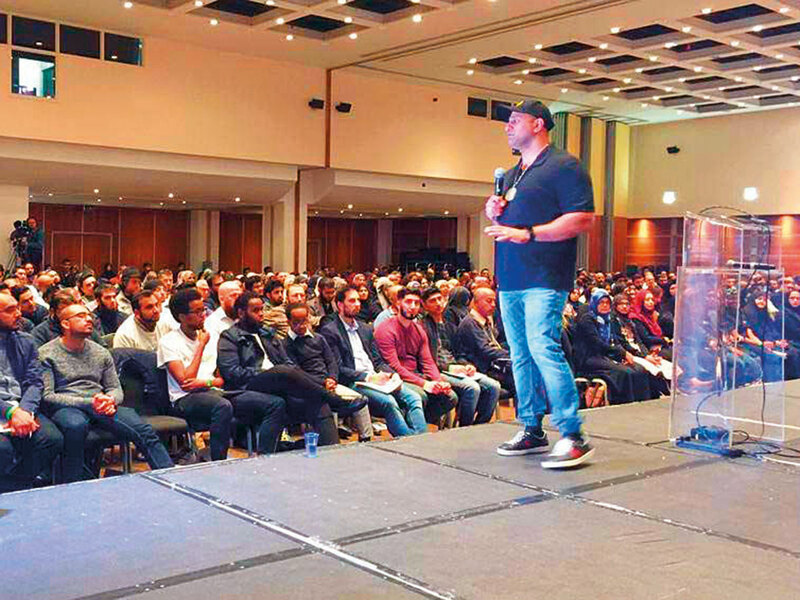 Launched in 2015 by two London businessmen, the Muslim Entrepreneur Network is an online resource for subscribers. The platform which operated from a mosque in Barking, a suburban town in East London was meant to encourage entrepreneurship in the community. STATUS: It’s co-founder Harun Rashid has quit the network levelling allegations of fraud. 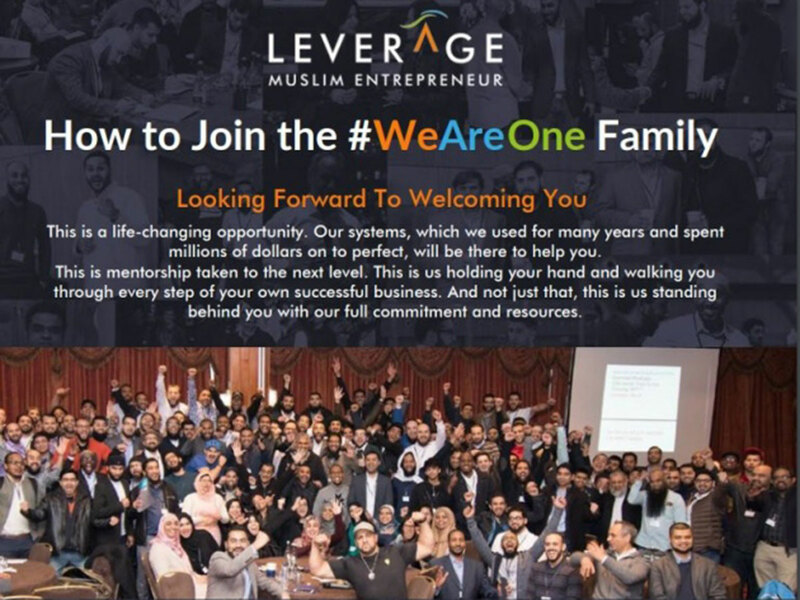 Launched by Rocky Mirza under the umbrella of the Muslim Entrepreneur network (MEN) in January 2017, the Leverage Programme was a scheme that offered financial freedom to members within 12 months. People were encouraged to join by forking out a minimum of £5,000 (Dh24,000) each. A second wave of investment following a recruitment programme in September 2017 saw 1,200 more sign up for the programme. The new recruits paid anywhere between £15,00 and £25,000. ISG was pitched to MEN members by Com Mirza as an educational website where subscribers would learn from Com how to make the most of their money. But soon it morphed into an investment programme called ISG Capital Pool which required members to pool in their funds and get guaranteed 10 per cent returns within 12 months from a real-estate project in Dubai. Scores worldwide forked out anything between $5,000 to $150,000, hoping to benefit from Com’s experience as a real estate mogul in Dubai. Habibi Coin was launched by Com as a real estate backed Sharia compliant cryptocurrency. Its Facebook page describes it as ‘a community solution to help members participate in fractional real estate ownership without having high incomes and credit scores’. Lured by promises of attractive returns many invested in the currency. STATUS: The currency is worthless as it is not listed on any exchange. Com claims Habibi Coin is undergoing acquisition and the coins will be liquidated soon but has not given any details of the company behind the acquisition. 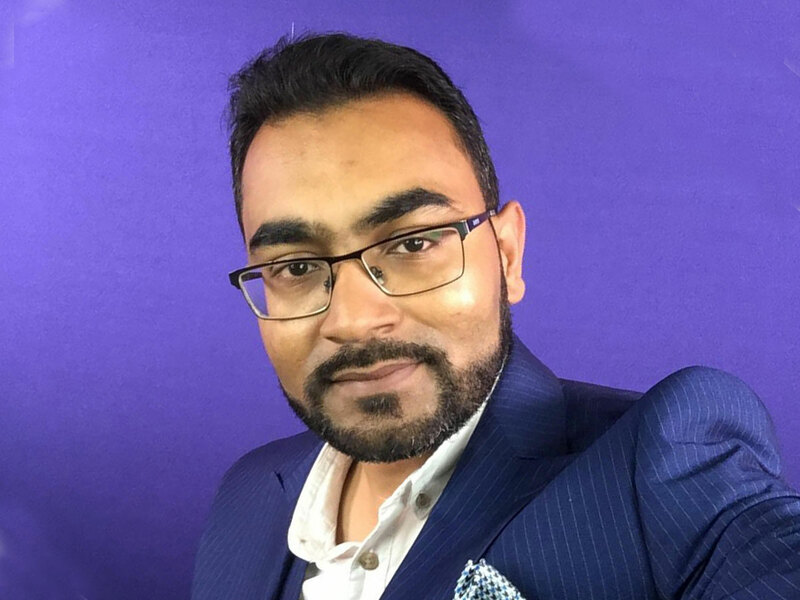 A Canadian of Pakistani origin, Aziz ‘Com’ Mirza describes himself as a serial entrepreneur, investor, mentor, philanthropist and dream chaser on his website. He claims that since launching his first business at age seven with a lemonade stand on the street corner, he has done business in eight different countries. According to him, he runs multiple companies in technology, real estate, automotive, luxury rental, crypto currency, investment and media industries. Com lives in Burj Khalifa and has over 800,000 followers on instagram. He also claims to be running an annual Ramadan food drive campaign that has fed over 35 million meals over the past seven years. Of these, 21.5 million meals were delivered last year, according to him.